Kumasaka (Kumasaka the Robber), 1897 from Nogaku Hyakuban (One Hundred Noh Dramas), woodblock print, 15 x 10 in. Collection of Richard J. and Mae J. Smethurst. 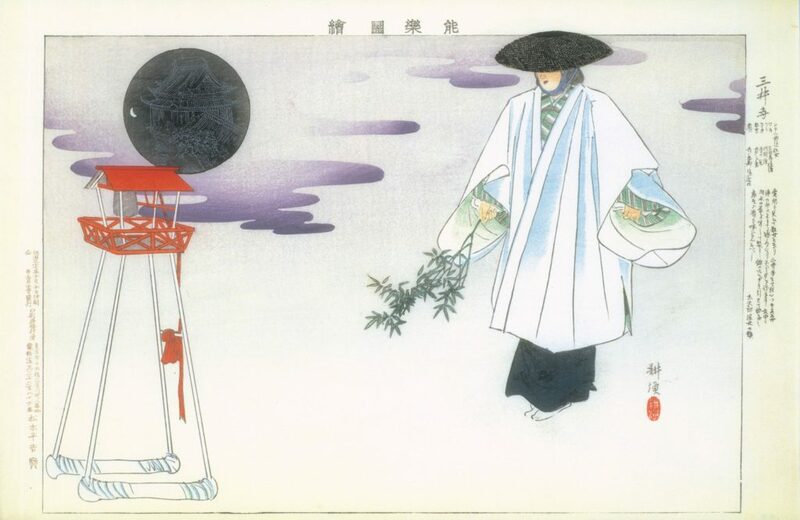 Featuring over 50 Japanese color woodblock prints and several masks, this exhibition explores the art of woodblock prints and the history, stories, and costumes of Japanese Noh theater at the turn of the 20th century. Artist Tsukioka Kōgyo (1869–1927) came of age in the Meji era (1868–1912), a period of modernization when Japan was opened to world trade after more than two hundred years of relative isolation. Kōgyo specialized in depictions of Noh Theater, a classical art form which until then had primarily been enjoyed by social elites. This changed at the end of the 19th century, however, when Noh Theater expanded in popularity and was embraced by the middle class. 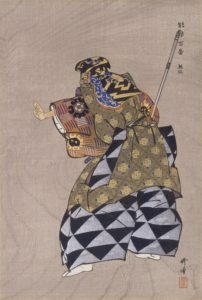 Kōgyo’s numerous paintings were translated into series of woodblock prints, including Pictures of Noh (1897–1902), One Hundred Noh Dramas (1922–1926), and Encyclopedia of Noh plays, (1925–1930). Organized by independent curator Annemarie Sawkins, Ph.D, this traveling exhibition features prints from the private collection of Professors Mae and Richard Smethurst of the University of Pittsburgh, who have spent much of their academic careers teaching and writing about the classical theater and history of Japan. Miidera (Mii-dera Temple), 1899 from Nogaku Zue (Pictures of Noh), woodblock print, 10 x 14 1/2 in. Collection of Richard J. and Mae J. Smethurst. With a selection of fine art photographs including landscapes, still-lifes, and other carefully observed images, this exhibition showcases the work of the New England Large Format Photography Collective. The group utilizes historic cameras and large sheets of film (typically 4 x 5” instead of 35mm) to work in a traditional format, producing photographs in the mode of Ansel Adams and Richard Avedon. In an age when digital photography is ubiquitous, and few photographers work with film in a darkroom, this group celebrates the detail, clarity, control, and the contemplative process offered by large-format cameras. 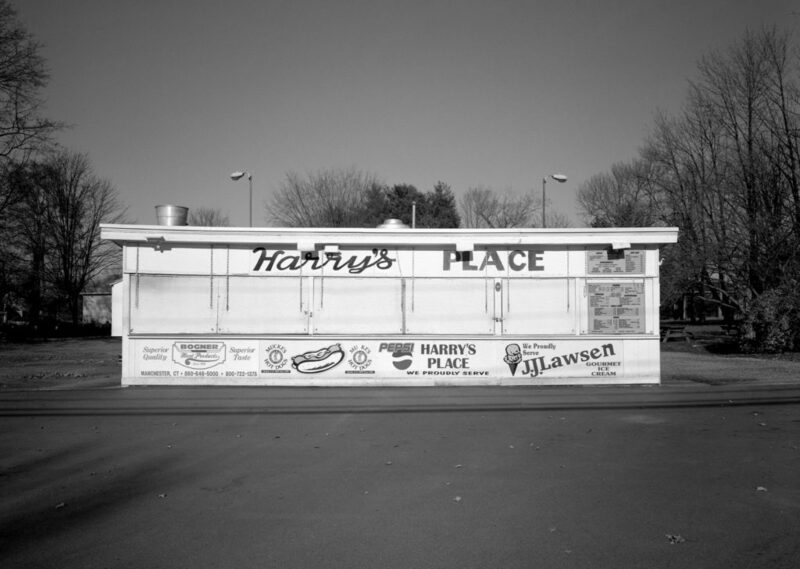 Image: R.J. Phil, Harry’s Place, Colchester, CT 2001. From the “Americana” series, 8 x 10, Deardorff camera, Ilford HP5+ film, PMK pyro development. Pigment ink print on Canson Platine paper. 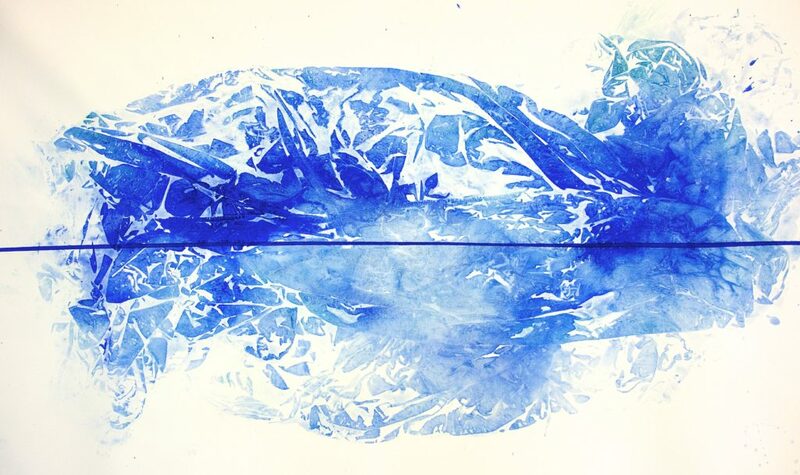 In an environment impacted by global warming, contemporary artist Judy Cotton focuses on water, glaciers, melting ice, and insect life, offering a meditation on the natural world and the forces that threaten its balance. Hidden Water, a multi-media exhibition, presents art that speaks to the artist’s ecological concerns. Cotton’s paintings and small sculpture will be displayed in the Lyman Allyn’s galleries, with one room imagined as a cabinet of curiosities containing sculpted nests, insects and other natural and artificial “specimens.” Several water-focused installations will occupy the museum’s outdoor grounds, engaging viewers in a dialogue about water use, pollution, rising ocean levels, and other environmental concerns. Image: Judy Cotton. Thin Blue Line, 2014. Acrylic on canvas. 36” x 60”. Collection of the artist.